Paragon Lock & Safe has been offering the highest quality safes for the best prices for close to a decade. We are so confident that our safes will hold up to the every day needs of our customers that we offer a full 10 Year Warranty on every safe we sell. Paragon Lock & Safe, located in the heart of Mancelona, Michigan offers a safe for every need... from the small jewelry safe to the large gun safe, we have your security needs covered. Don't keep your valuables unprotected, store them away securely in a Paragon Lock & Safe fire safe or home/office security safe. And because we stand behind every safe we sell, you can rest assured that if something should go wrong, we will do whatever it takes to make it right. Paragon Lock & Safe understands your needs, and we feel that just because you want to save some money you don't want to sacrifice quality and dependibility. Paragon Lock & Safe understands, and we want to be your choice for home security. Our safes are time-tested, robust, and backed-up with a full 10 year warranty. Paragon has a reputation for quality as evidenced by their workmanship and materials. We use thicker steel, stronger latches, and are up-to-date on the latest trends in technology for all of our electronics. 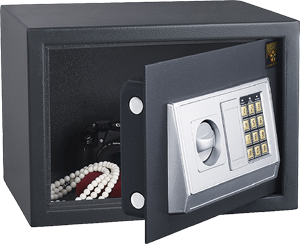 Our safes are designed for safety, security and ease of use. Our premium quality safes rank with the toughest in the industry. Review our Products, a full range of residential and commercial security safes, rifle and handgun safes, and fire safes, featuring state of the art high tech safes using biometric and fingerprint locks, digital, electronic and combined locking systems. Business owners, protect your cash collections with our Federal Deposit line of heavy duty digital drop depository safes. Other business assets such as customer and transaction files, tax documents, custom software and data backups are essential to operating your business, and they require secure fire resistant storage. Loss of these assets causes expensive delays in operations, and frequently even business failure. Homeowners can improve residential security by choosing from the Quartermaster Series of safes to protect your valuables and important records. The QM Electronic Flat Panel Wall Safes , Notebook Computer Safe, and Home/Office Security safe offer a range of placement and access types to protect your high-value and irreplaceable items. Many choose to improve home or business security by having a weapon. Gun owners, manage the risk of keeping a gun in the home or business by using a reliable, quality gun safe that still provides you with rapid access. Choose from long rifle safes for those hunting rifles and shotguns, or the pistol safes for storing those personal protection handguns. 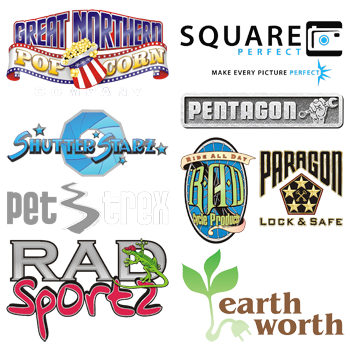 Paragon's reputation for quality is backed by our full ten-year warranty. We incorporate the latest technological advances to provide you with maximum security and ease of use. 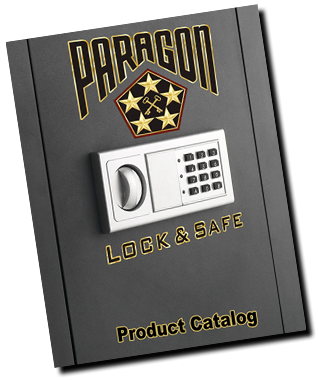 To find out more about the Paragon Lock & Safe Company line of products, visit their website at ParagonLockAndSafe.com.